The following article is written by a guest contributor. He works at one of Australia’s biggest bookmakers but does love his job so wishes to remain anonymous. Being one of many sportsbook insiders I converse with on a regular basis, I shall cleverly name him Spinsider. I email with a number of people who work at sportsbooks, they have all stumbled across this site and contacted me. You can imagine that we have a lot in common and a lot to talk about. I have found that all the workers of these big corporations are great guys. I always feel a tinge of guilt when calling out sportsbooks, as I personally know workers there, but it is not the workers who are the issue, it is the way the owners have created a culture in each company much like those seen in the wolf of wall-street. The goal of all employees is to make as much profit for the company as possible and this sometimes leads quite nice people into doing reprehensible things in the name of profit. This article will give a small glimpse into the lengths that bookmakers go to to profile every single customer and then weed out any that may one day make a profit. This is a major issue in our little sports-betting world, and an important story to get out there to the general public. I’ll hand it over to the Daily25 Spinsider and I’ll be back at the end of the post to add some of my own opinions. I have started teaching my students at the dailyprofit service a few tricks of the trade. Over the coming months they will know everything I do and their accounts will last much longer then the usual guys. Any system that is mostly automated can be gamed and while its sad that it’s a game we even have to play, there is great pleasure in taking money from bookmakers. As a group the Dailyprofit members have already taken over more than $130,000 from the bookies in under 3 months. We are well on track to take $1 million from them by this time next year. Now that you know how dirty the bookmakers play, it’s time to fight back with our own dirty tactics. There is not much use in whinging about how bad the bookies are (although it is a hell of a lot of fun). But once we hit them where it hurts (their profits), they will have little choice but to change the way they do business. Steve, MAC addresses can’t be captured by a website (unless you specifically allow a plugin to run to do that) and are not transmitted with normal Internet data so that’s not an issue. What can be captured is screen resolution, browser type, operating system etc though it’d be a bit tough to correlate a particular user with that information, as there are too many people who would have the same configuration. As the article points out, IP addresses are collected and are an almost instant giveaway of a user’s identity. True, but I believe the article was referring to phones (where the MAC is easy to get). But programs like IEsnare in the the browser can capture it also. IP is a huge giveaway, but the easiest problem to solve. Also good point, it would not be hard to change just one of those things (screen resolution, browser) if you are using a second account. Even using google analytics I can see a lot of data about each person who visits the site. In sure they also track what site you signed up through (so never use affiliates) and the page you were on before you visited the site. As I mentioned this article is just a primer. There are many more things they look at. Interested to hear comments for and against. Hey Gil, those are the authors thoughts. By being selective like we are in the dailyprofit service, we know we will make a longterm profit. If the bookies got it right every time then they would happily take bets from everyone for any amount. I do not consider the bookmaker’s actions “dirty tactics” but rather just the sensible running of what is an entertainment business not a “provide me with an income business”. I also personally do not see where the fun is in complaining about them, if anything I think it has become a particularly boring subject in betting circles. I do not believe they will change the way they do business and nor should they, it is vital to the serious punter that soft bookmakers exist because it is vital to the sharp bookmaker that they do exist. No soft bookmakers then far less arbitrage. Less arbitrage then high volume low margin sharp books become much less viable. Pinnacle is one of the largest punters in the world and arbers are their ghost accounts to bet with soft bookmakers. We need the market to stay as soft as possible otherwise we will betting in to far sharper markets overall. Soft bookmakers need this business to be easily manageable, not every one is capable or has the inclination of running a sharp book. I hope many more accounts are restricted and closed in the future. I am surprised that this article did not mention gender or e-wallet use. Female accounts are almost always marked on opening and use of any e-wallet (Neteller or Skrill) will automatically mark you as “bonus bagging arbing scum”. These are very obvious things to note when getting other people to setup accounts for you. Look for professional males with good jobs and deposit with debit or credit cards. Set up seperate bank accounts for them and you and get them to give you the debit card. 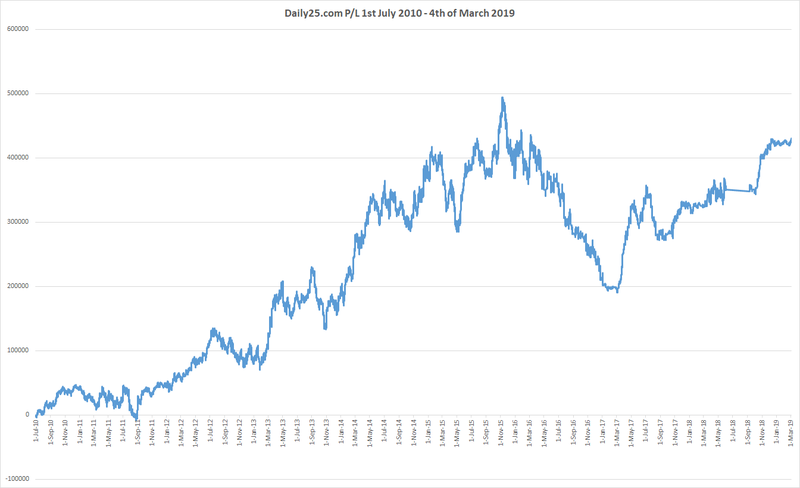 As for Betfair arbitrage alert the simplest system I have seen was the one we used which used the Betfair API to stream all our prices in £2 size and a specialist order monitor. We could easily see when the price was taken and also run a report to see where we held up well against the market and where not. We then could mark accounts that hit us the same time that we were hit on Betfair. We all have our opinions, and they are usually based on what side we have worked for. In regards to that paragraph, i can rephrase it for you. “Now that we know the business practices that the bookies use, we can refine our own approach to make as much profit as possible. Then we will have little to complain about and it may just bring a change in approach to their current business practices”. As you can imagine, not many people would agree with you, you come from the bookmaking side and have your opinion (which I respect), but don’t agree with at all. If a bookmaker is not sharp enough to deal with all customers then they shouldn’t be in existence. I don’t know any other business given so many tax breaks and rulings then the current crop of bookmakers. Again, this article was a primer. Not many Australian books take Neteller anymore, so that point is moot. Thanks again for your input, always good to have a view from the other side. By this logic no bookmaker should exist. Even pinnacle and large Asian books have closed accounts. Tote pools have turned away syndicates, exchanges have banned customers. Plenty of other industries enjoys just as many tax breaks and rulings: oil companies, banks the list goes on and that is still not sufficient reason to stop them optimizing their profitability. It is an entertainment business and you are asking them to give away the product for free/pay them to consume it, no other entertainment business would sustain this voluntarily. The phrase “walk a mile in another man’s shoes” comes to mind. I worked for a bookmaker and I am also a punter then and now. So I have experienced both sides of the fence and can honestly say neither side has anything to complain about. Both sides should just go about their business without complaint and just get on with it in my oppinion. Neither should have a sense of entitlement as to what they feel they are owed and both should just continue doing what is best for them. The cheetah and the antelope do not hate each other, they just are. That’s the problem for me. You keep referring to it as an “Entertainment business”. Bookmaking isn’t an entertainment business, what these UK books have created has made it so. Pure bookmaking is meant to be sharp minds versus other sharp minds with a 10% chance built into the bookies side. I have never heard of Pinnacle closing profitable accounts unless they were doing something illegal. So it is very possible to be a bookmaker, take all bets and still come out ahead, just like it has been done for many years before by bookies at the track. What online bookmakers are is nothing like a traditional bookmaker. Again, I don’t agree and I actually see that mindset in a few others, they think nothing can be changed so we may as well keep the status quo. If that was the case we would never have seen the min bet rules for NSW racing and I’m sure for all other states soon enough. The only thing I feel I am entitled to is the same as everyone else. If someone else can bet on an event for whatever amount he likes, I believe I should be allowed that same entitlement. It’s what we in Australia call a fair go. This is your interpretation of what “pure” bookmaking is but it has always first and foremost been a business not a battle of intellects. Bookmakers have always turned away custom since the dawn of time and have always thought to preserve their top line. They may just look down the rails and see others slashing prices and give you a terrible price but they are essentially turning down your business. They have also always had the ability to turn down bets that were too large. I am speaking of UK racing and maybe in Oz they all have to hold their prices on steamers till everyone has got on and give them all as much as they want. I am intrigued how the min bet rules are working out for NSW racing, are bookmakers still doing their best to claw back the deficit elsewhere? I do not see what fairness has to do with anything, why on earth should anything be fair just because we want it so? I am sure things could be changed but I hope they aren’t because the retail and professional punter has never had it so good. This system as I described in my earlier post is vital to those who want to make money long term from betting. I also hope that the NSW min bet rule does not mean increased margins on racing or elsewhere or increase deposit and withdrawal costs or less bonuses for the majority of “betting for entertainment” punters. I imagine we will continue to disagree. Hopefully others will share their thoughts on this topic as well. Yep, In Australia we treat punters very differently. On-course bookmakers have always had rules saying they must take bets to lose a certain amount. Finally the same rules that have existed from day one are now being enforced online. In regards to the NSW rules, I have heard from my insiders that the bookies have no concern at all about the new rules as they had been making such a large margin before. For the big guys, it will barely affect their profit (and might even increase it). It’s not fair because it should be, it’s fair because that’s what is deemed to be fair. The UK is obviously different, you poor guys have been downtrodden by bookies for so long you assume that’s how it has always been and always will be. Like you said, we won’t agree. So I’ll end it here and see what others think. Yep, I agree. We have consistently seen people sitting at home (sportpunter) beat these 50 guys. But bookmaking isn’t isn’t about coming up with the correct price. It’s coming up with a price that entices people to bet on both sides. The simple answer is cost. If 95+% of your customer base loses money and would do even if the bookmaker bet to 100% then why would you invest a lot of money to accommodate the remainder. Really good simulations and risk management systems are hard and expensive to develop and you need to attract talent which can get paid more elsewhere invariably to do it. If you are a Quant or expert Java developer etc etc you can earn more in another industry. So invariably they would have to farm out this devlopment which can become eye wateringly expensive especially with maintenace charges and updates. The bookmaking industry also struggles to attract decent people to become traders at times due to being poor payers and needing employees unsociable hours. Working in the industry as a trader can be very damaging to relationships of all types and is not for everyone due to working evening,nights and weekends. Bookmakers also are expected to offer prices on anything and everything whereas a punter can target a specialist area and he can choose not to bet something whereas the bookmaker “in theory” has to takes bets on everything in some sort of size from at least some clients. The power of choice is the greatest weapon in a punters tool box including the choice to not bet. Money does not always come in on both sides. In fact books are invariably lopsided and the bookmaker will be cheering for a specific outcome. Competition in the market place has driven down betting spreads significantly so bookmakers are often one sided. If they are fortunate to have a large volume of recreational punters you can end up with hugely lopsided books just before the start of a match and with no way to create the arb even if you wanted to balance the risk. So how do Pinnacle do it? Well firstly you offer a very limited number of markets and a limited in-play offering which reduces staff costs. You develop a risk management system that moves prices very quickly and by different amounts determined by how sharp your clients are. You use arbers and sharps to make the market solid and you lose money on this portion of the business. You then quote to very small spreads so you are almost always one side of an arb in the market. Then you are basically using your sharp clients to help you bet against soft bookmakers using arbitrage clients as you medium. They ruthlessly promote arbitrage as a betting medium they accept and they use those sharps to beat up the bookmakers who are out of line against them. They provide markets where they think there is sufficient volume globally to withstand this model. As you can see there is a problem if everyone ran this model and the more entrants in a market the harder to square the book so mostly 2 outcome and 3 outcome bets are the norm. In Asia it is a little different as sharp clients are shadowed often. So they lay the sharps and then hurry to use their own agents to lay off the bet and more with other books. This leads to active competition to attract smart clients and syndicates. Prices in Asia have to move fast to avoid being caught with the hot potato. There is only so much room for sharp bookmaking and only on a limited range of markets and sports. They are dependent on volume and it takes longer to generate then setting up a soft bookmaker taking first goal scorer bets at inflated margins and other such bet types. The one bookmaker of particular interest is Bet365. Commonly referred to as bet £3.65 due to their heavy restrictions they are now starting to reach a critical mass. They genuinely could run their more popular soccer leagues and US sports as a sharp book while keeping more recreational practice for other sports and markets. Vegas and Asia would help them from getting burned and I understand they are starting to lay some very very large bets in certain areas. Maybe a hybrid could develop. I also noticed that they moaned the least I believe about the NSW minimums? I think they did not engage in too many underhand tactics? Maybe a hybrid could be born. I have to agree with Steve on this subject. Matthew is obviously a Pom and hasn’t had the benefit of growing up like many of us have on Australian racecourses where bookmakers can’t just pick which punters they will allow to bet with them. They are obliged to bet to lose a minimum amount depending on the enclosure they are fielding in. On the rails in Sydney and Melbourne that sum is I believe $5,000. Furthermore they are required to lay at SP if demanded. And the bookies of old at least (not sure it still happens as I don’t attend the races any more) would accommodate all punters who were at his stand at the odds he’d just turned down. Come the big corporate online bookmakers with deeper pockets than the on course bookies and surely we are entitled to expect at least the same? To their credit the regulator in the NT (where most of them are licensed) about 3 years ago did introduce a $1,000 minimum bet on horses and $500 I think it was for dogs and sports. The cowardly parasites somehow managed to have the regulator overturn that decision without any opportunity for punters to get involved in the discussion on it. And now we have the NSW regulator bringing in a $2,000 minimum bet rule for Saturday metropolitan racing (with conditions) and still several of the parasites are complaining and simply failing to comply! Matthew, the traditional culture in Australia is far different from the ideas you’ve expressed. We call it a “fair go”. Unfortunately our online industry has been virtually completely taken over by Pommie “bookies” now and that culture is being destroyed. Just as bookmakers on course are obliged to accommodate all comers, the granting of a government licence to an online bookmaker should have come with at least the same level of obligations. But the reality is that they act as cowardly parasites, severely limiting and closing accounts of anyone they consider has half a clue about betting. And they actually have the gall to call themselves The AUSTRALIAN Wagering Council! There is very little Australian about their ownership and certainly nothing Australian about their attitude to the Australian “fair go” culture. Always happy to have anyone write anything on the blog that will stir discussion and help punters. Would be very happy for Matthew to write an article. Matthew, these are some of the most insightful posts on bookmaking I’ve ever read on an open forum. I’ve seen many semi-pro players wish that soft books didn’t limit — and yet remain soft books. It is impossible, and not as Steve suggests because of lack of imagination. If that were to happen, sharp players would get multiple accounts each and hit the books for millions within a week. It would either go bankrupt in a couple of weeks or implement an efficient automatic risk management system. In other words, become sharp. This means its price will always be within a couple of ticks from other sharps and not lagging behind, the limits on ‘soft’ leagues would be very small and it would not be possible to place one bet at max stake without the odd already dropping. That’s not what the punter wanted though! 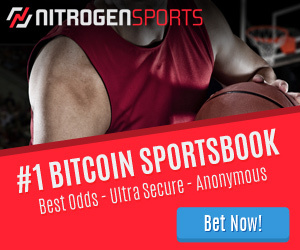 Pinnacle does indeed use arbers as proxy accounts (or beards) to bet at soft books, and pays them commission for providing the accounts in the form of arbitrage percentage. Because of this, as Matthew said, no soft books means no Pinnacle as we know it. I was on the other hand not aware that the model you describe regarding the Asian books is their main one. I think it’s hilarious. It’s like front-running in financial services, except the victim is not the client but the pool. In normal front-running, the client gets a worse price than he would get if the bet was executed directly in the pool. But here the book offers him the price he asked for, thereby preventing the information from reaching the pool and then hits the pool twice as hard. It’s a pity you don’t have a blog. Or do you? No blog as yet Bertram but might be worth considering as a writing outlet. Thank you for the kind words. This is an interesting point. The 50 guys would beat Sportspunter if they had to release a full range of lines on all games every week and let the good traders bet on them. The fact is, it is incredibly easy to make money gambling against these books. This is because of choice as Matthew said. They have to offer everything and we get to pick and choose. Nearly everything is in our favour apart from working hard to get on. No they wouldn’t. Sportpunter only releases H2H and Line bets. All the other bets bookies give are usually derived from these lines. These 50 guys work there arses off to make sure these lines as correct as possible. Yet SP continually beats them and uses his information to reshape lines. It really is laughable that you say it is “incredible easy to make money gambling against these books”. I don’t believe that for a second. If it was so easy for people to win then why does everyone lose? The old saying that 98% lose might not be correct, but from my market research (100’s of replys) it seems to be the case. Yes we can pick and choose and they might make many mistakes on these lesser markets. But they also add a massive overround to them also to cover for any potential mistakes. From someone who has never had a losing year betting. It is damn hard to make money gambling. Could you please tell me after what amount of money you earned on one particular online bookmaker, do they ban your account or limit your bets? There is no set amount. Ive been banned after 1 bet and been banned after taking 100k from a bookie. It is dependent on so many different things. Could you tell me why, for ex. wh and b e t 3 6 5 limits me after 2 days of betting. I have dynamic ip and reinstall OS every time, but its not working. Especially bet: they limit me in a half after 2nd step of verification. How to avoid this and create fresh account? Ps is neteller. Please give some advice about my case. Aren’t half my bets (the underdog of the arb pair) somewhere between really and slightly stupid? I would have thought some really stupid bets would attract attention, not dissuade it? But the how interests me; why don’t they spend resources on making their odds not be out of whack, rather than pursuing those who purchase their produce at the price/odds advertised? easier and cheaper to restrict punter than hire people who know what they are doing. They can hire 10 incompetent people for the same price as 1 great odds compiler. Hey Steve, any advice on how to open new, clean accounts in my own name? I’ve been resorting to using my friends accounts but it’s getting to be pretty inconvenient. Any advice would be greatly appreciated. Thanks. There is no way to open a second account in your own name. All books require ID checks on each account. The only option to keep betting at that bookie is to open new accounts in friends names. Hey Steve, what happens if I stop using my own account entirely, can I start betting on the same IP address in my buddie’s name? Found that out the hard way. Reinstalled my computer, and used a VPN, but they found me and closed the acc the same day it was opened. That’s a start, but not the be all and end all either.. Just keep taking notes on what works and doesnt. Limited by bookies? Simple answer, use betting exchanges or use a broker. Take it as a compliment that the bookies will no longer trade with you. Steve, am I able to reccomend a betting site on here? Matthew I have read your writings on here and another website and you give a very interesting insight into the asian betting world. But what you and many others fall to realise is that the asian market is largely illegal and companies like SingBet are known for randomly voiding winning bets, just because they feel like it. To be honest I would not feel safe betting with them. Matthew has got a point, bookmaking is a business and they are not obliged to line the pockets of sharp punters. Perhaps instead they should be obliged to lay to lose a maximum of £500 per bet. That seems more reasonable than only accepting bets from losing players. I’m from Brazil and I want to use system as Accelerator Generator or Profit Accumulator. However, second his creators it’s available only for UK residents. If I use a UK VPN can I make my registration on UK bookmakers? Would I find a problem with address and others informations? I have no idea what those are, you would have to talk to the person who makes them. And about open a bookmaker account using a UK VPN IP address. The new account lasted 3 months, but managed to get in about £40k so Im happy. Getting a new account, do you know if I need to buy a new computer? I see the insider guy in the article says to his knowledge they dont use MAC adresses and such? I know that (for those using Iphone’s) when you switch it to airplane mode and then back, it will infact change the phones i.p address. With Wifi turned off also, are there others ways to track recent bets from that same mobile? Possibly Imei number tracking? Actually going to try it this week and see how it goes after making a new account on a fresh ip on the phone. Hey Steve, how you doing? Let’s suppose I developed an algorithm that’s proven to work (in order to bet in NHL games, for instance) and I can make a huge profit with it. Do you recommend me to use it at Pinnacle as they accept winners and I’m not supposed to have my account locked? Or even there, do you recommend me to be careful and diversify the bets? Would a Dynamic (Business) IP address help resolve the issue. The IP address changes every-time i reset my router. What would you do if you had an algorithm for a sport (for example, NBA). I’m not talking about a strategy, I’m talking about an algorithm with logic, some statistics etc. Would you use it “as if there was no tomorrow”? Steve and Matt, I commend you on both trying to feel less guilty but you’re both forgetting a third party perspective. You speak as though “Me” (You) as a punter pays your salary. I pay no ones salary except the people of my governments, unless I decided to otherwise. It’s easier to have smaller quantities of labels on people to rationalize things; I get that. If it wasn’t then why wouldn’t people like me as an American, not just end up voting for only a Republican or Democrat at end of each presidential term and choose a truly helpful candidate. Some people in this life just aren’t interested in dealing with “sharp minds” on bets yet, instead thrive on taking risks on the grande scheme of life to unravel greater truths. To me betting with bookies or bookmakers was never that sharp to begin with nor selfless and being a bookmaker would never make me feel less guilty if I were to stay one. I’m not saying you can’t make a crap ton of money if done right and seem smart for doing it but no offense a moron could consistently win, i.e. American elections, just by making votes. If the favors of betting were true you could gain and not worry about helping others, or bookmakers, or bosses, or objects; things would be nice. However, the favors will never be true because of the greed in this world. Though this article was enlightening on a bookmakers standpoint and some other info. as well. It is also a hindrance on those who’d really like to make a difference. Like the selfless people that post how to “hide” yourselves from being tracked for good and not to hide from bookmakers but “big brother” or Massive global corporations themselves. Making a profit for a personal gain will never be a selfless act, even if there are tax breaks that come from donating to charity. I bet humans such as our upcoming president and maybe most presidents us Americans ever had (at least in until tax breaks were incorporated into our system) paid mind to a major profit increase until he learned about these breaks that the upper society are able to get from seeming so charitable. Oh so no it seems good to help the “little man” when your profits gain or when hey are threatened. Your jobs will eventually be replaced by robots, A.I., and computers anyhow. So, enjoy this time while you all can as I enjoy my “freedom” in American until that is taken; like your replaceable jobs. I have hardly any money and probably give more then many bookmakers have without expecting a gain. People see it as being foolish, I see it as being truly selfless. My kind (the third party) will not be here for for much longer though because those like me that have gotten rich by good grace and understanding are profiteering to head into space; or have “died” in many different ways before being able to realize bigger pictures then money schemes. I hope everyone learns something from your article but can also appreciate my perspective as well. Spam? !…No, I’m like Pinocchio I’m a real boy. Is it possible to change my IP into UK ip so i can join matched betting in the UK? I live in The Netherlands my self .Thank you for info on this .maybe you can tell me how to manege all this ?